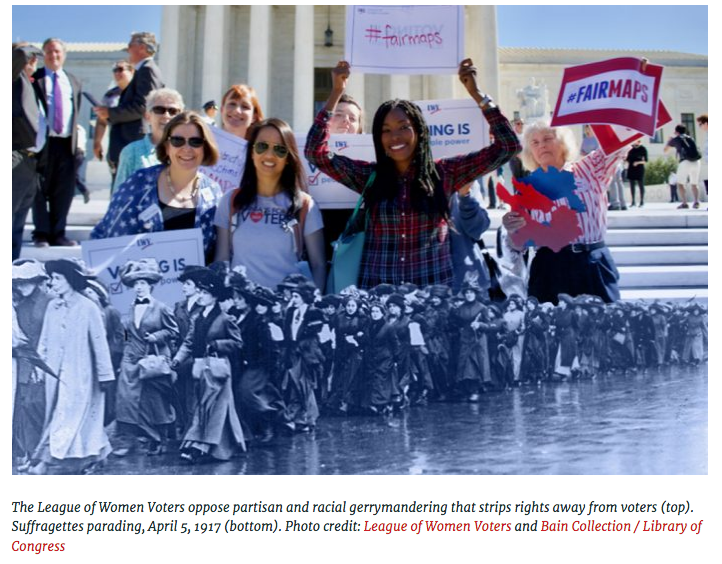 On September 6, the League of Women Voters of Oregon (LWVOR) joined the League of Women Voters United States (LWVUS) to file an Amicus Curiae Brief in Federal Court in the case of Juliana v. U.S. 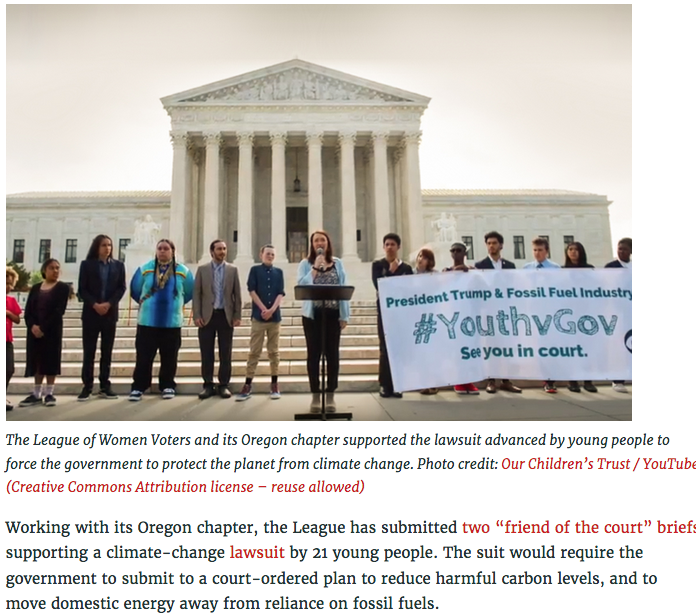 The press release from LWVOR states, “The Leagues support the 21 young people from across the United States who have filed a landmark constitutional climate change lawsuit against the federal government, via the Eugene, Oregon- based organization, Our Children’s Trust. The complaint asserts that, in causing climate change, the federal government has violated the youngest generation’s constitutional rights to life, liberty, and property, as well as failed to protect essential public trust resources.” Read the entire press release here.